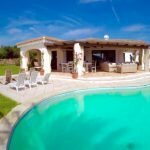 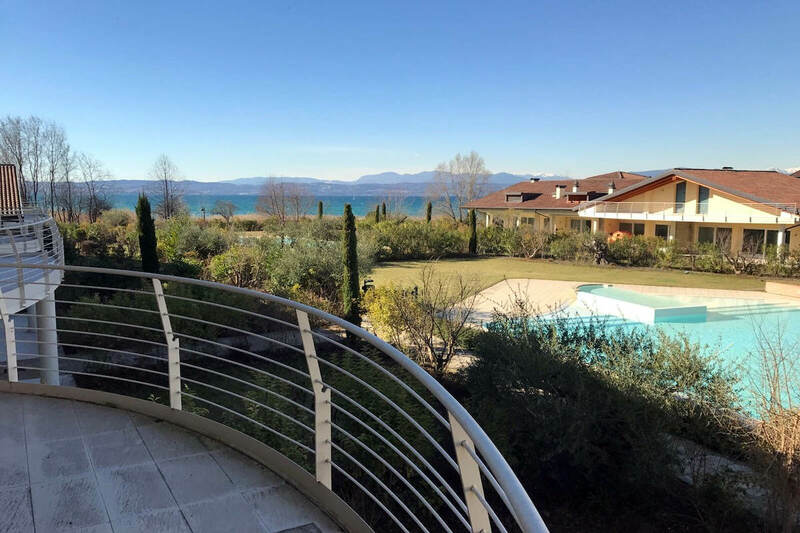 Lake view apartment Sirmione – First Floor: entrance hall, large living room, dining room with open handling kitchen, bathroom, large lake view terrace and balcony with outdoor dining area and BBQ. 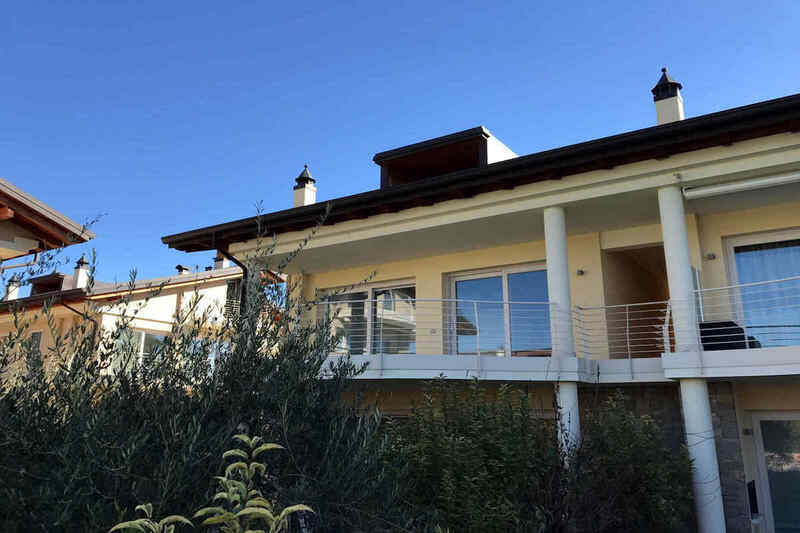 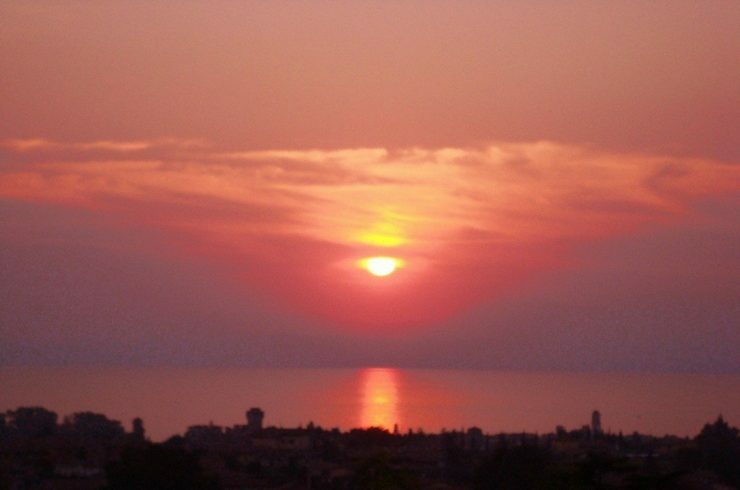 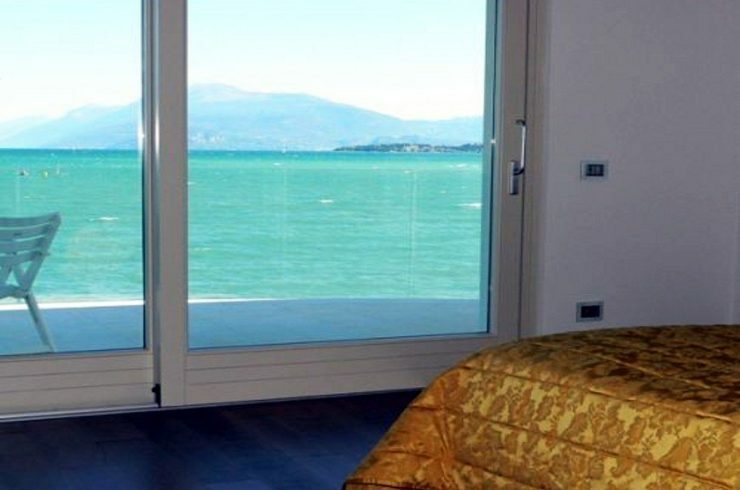 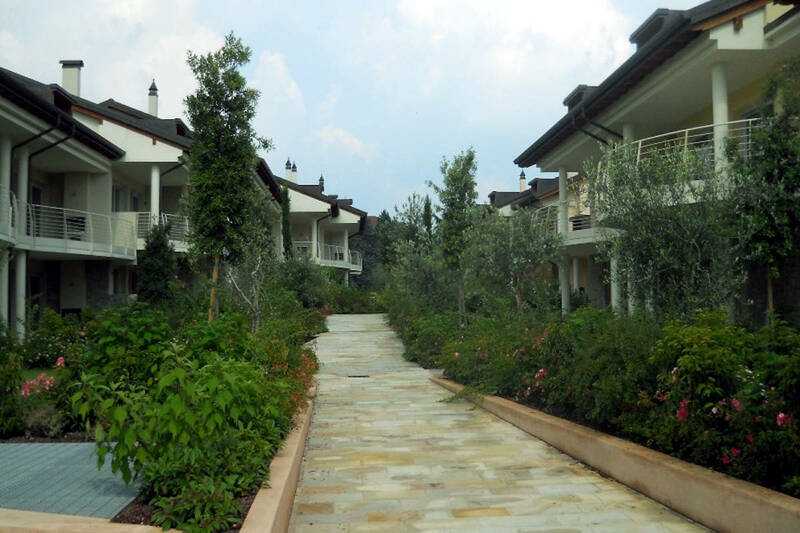 Lake view apartment Sirmione – Second Floor: two bedroomsone of which with walk-in closet, bathroom. 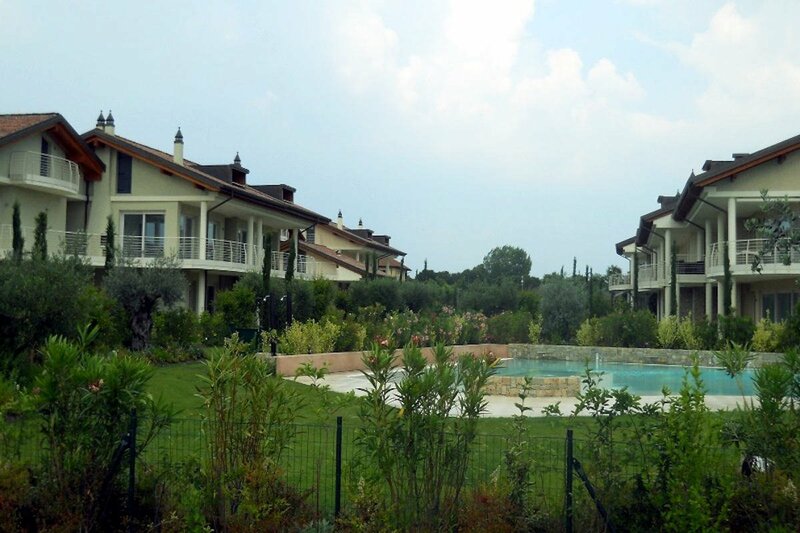 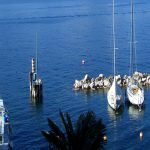 Lake view apartment Sirmione – Basement: double garage. 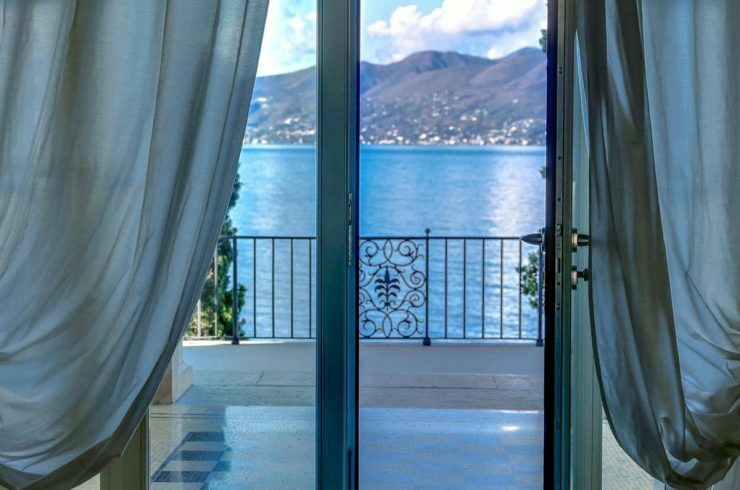 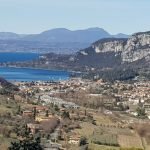 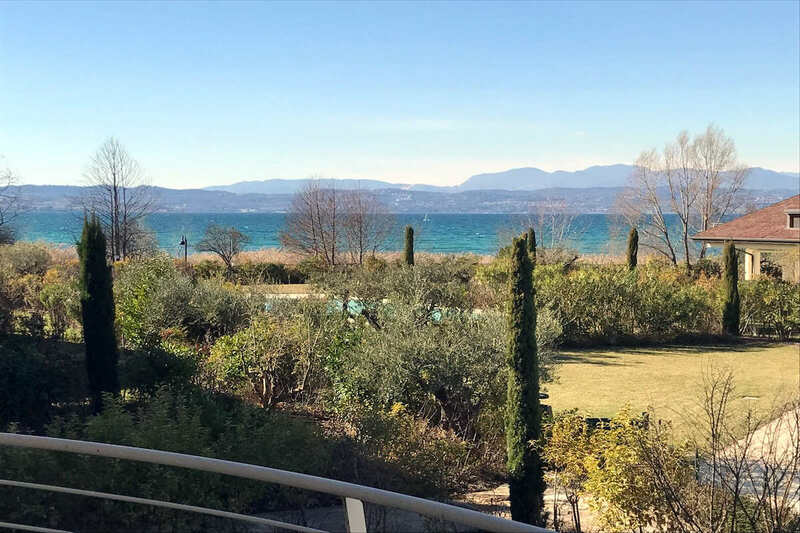 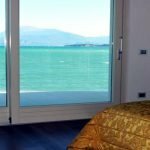 The condo of this waterfront lake view apartment Sirmione is happily located the center of the picturesque peninsula on the south coast of Lake Garda, where the lake opens and lets sweep your eyes on the enchanting landscape, the intense blue of the lake and the surrounding mountains. 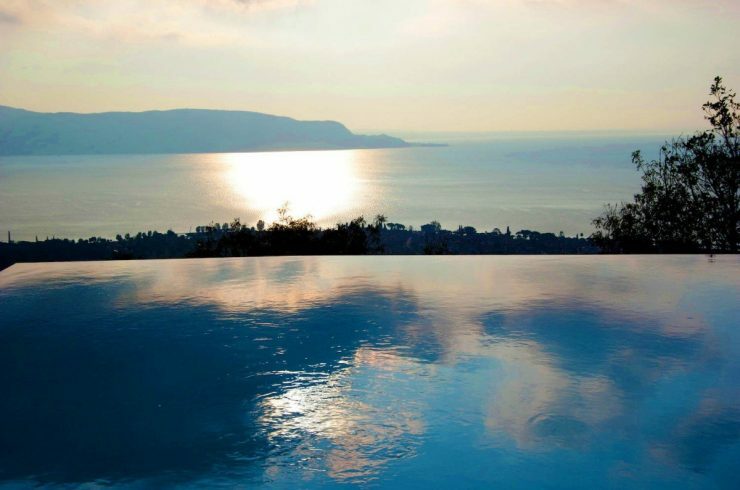 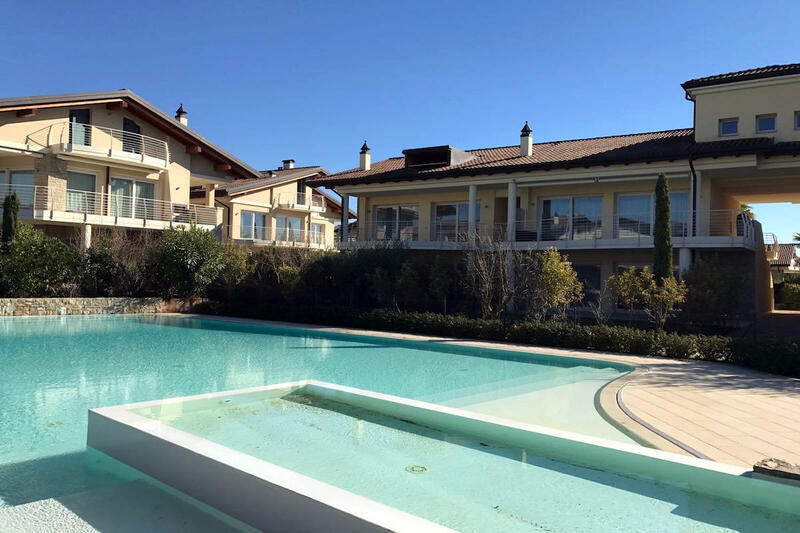 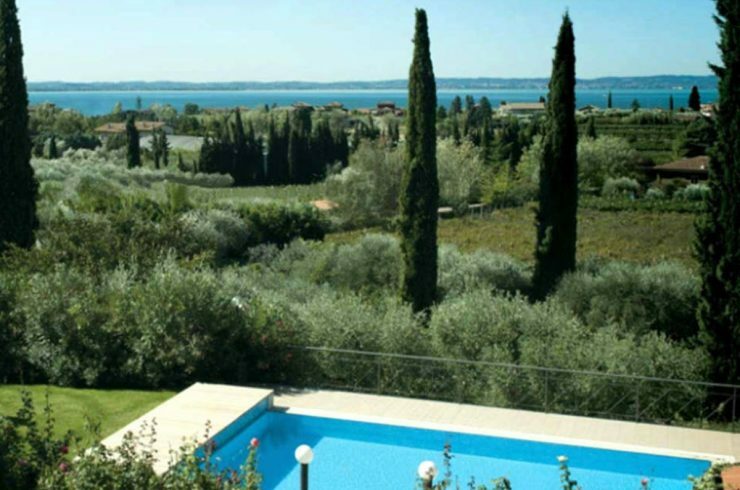 The extraordinary lake-front position of the condo, the lush kept gardens and its infinity pools, offer the lucky owners of this lake view apartment Sirmione emotions and relaxation every day. 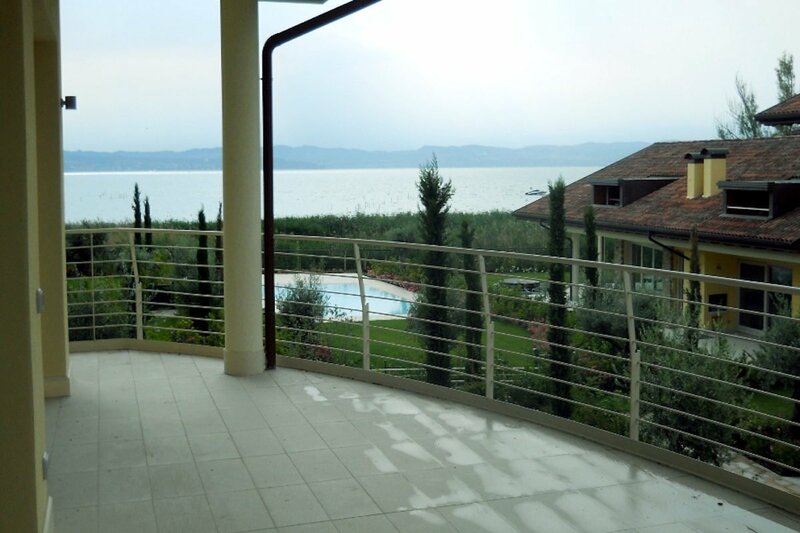 This waterfront lake view apartment Sirmione has a generous surface of 159 sqm plus a double garage of 40 sqm. 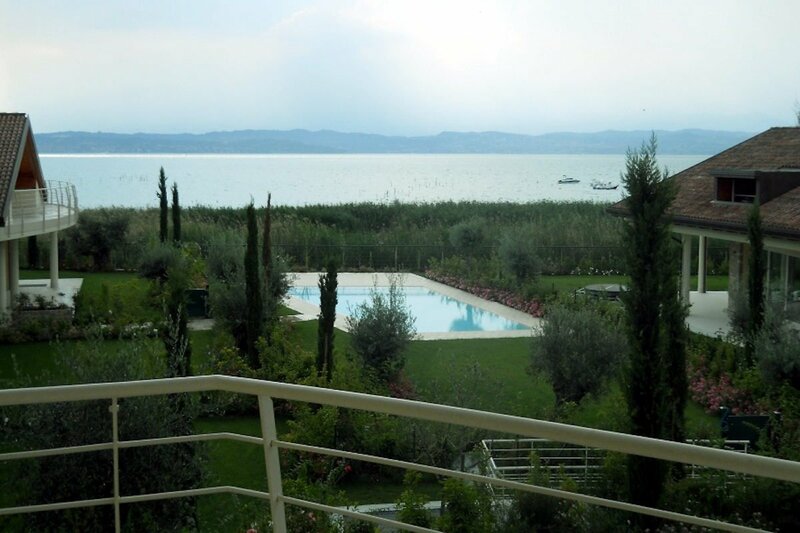 Due to its stunning natural position, the peninsula of Sirmione has always been a favorite holiday location of noble and wealthy families, including the family of the Roman poet Catullus, two thousand years ago praised the beauty of Sirmione, where he owned a magnificent Roman villa just on the tip of the peninsula, which today is an important archaeological site and bears witness to the long residential tradition Sirmione. From the time when Caesar refreshed at the Valeri house before continuing to the conquest of Gaul, Sirmione is a coveted oasis of beauty and relaxation for its famous thermal baths, the beautiful Castle at the unique geographical position. 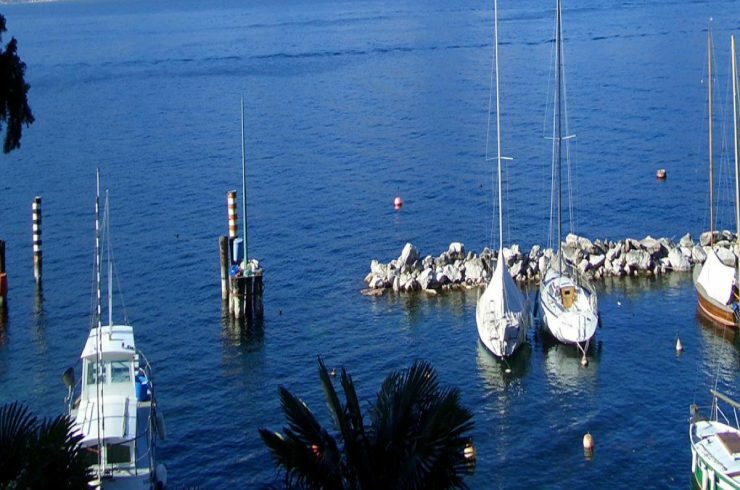 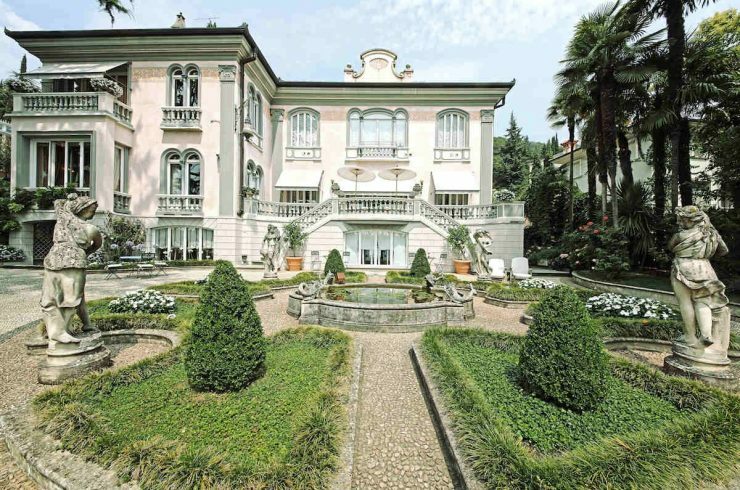 Lake Garda is the largest and, undoubtedly, the most evocative lake in Italy. 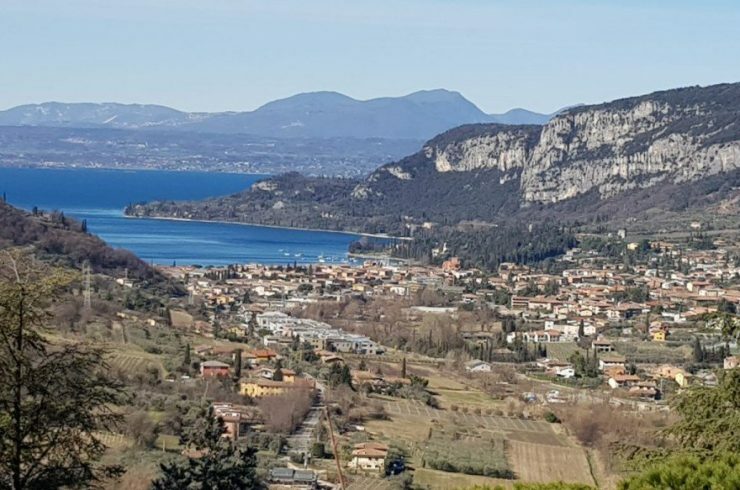 For centuries Lake Garda attracted noble families and a high-class tourism, and not coincidentally has been praised by numerous poets, including Catullus, Johan Goethe and Gabriele D’Annunzio, who lived there and many times they described admired the wonders of the landscape, the constant mild climate and the genuineness of the wine and food resources. 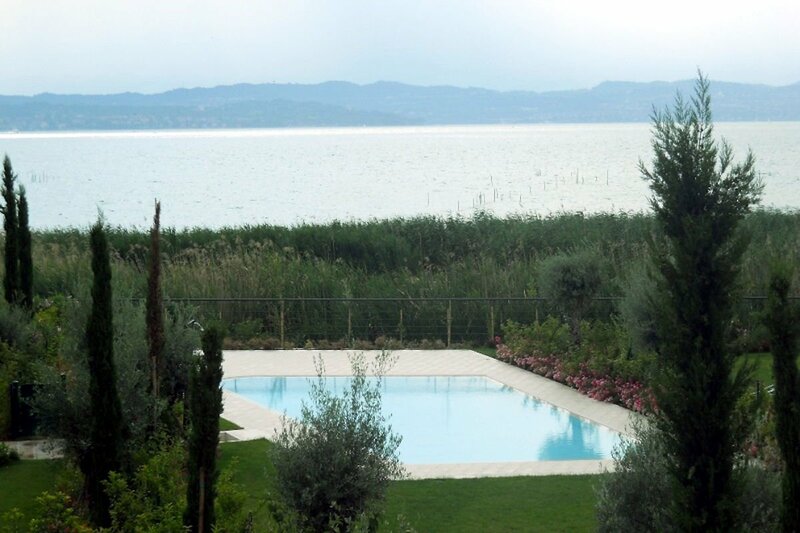 Lake Garda has for centuries been the preferred destination of noble families and historical figures, including Catullus, Frederick Barbarossa, Napoleon, the King of Italy Vittorio Emanuele II of Savoy, Johann Wolfgang Goethe, Gabriele d’Annunzio, Winston Churchill, Maria Callas and many other eminent personalities who have chosen to live on the gentle shores of Lake Garda to enjoy the relaxation and its spectacular scenery.